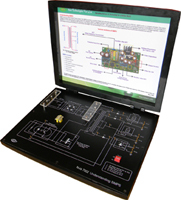 Nvis 7002 Understanding SMPS has been designed specifically for the study of Switch Mode Power Supply. 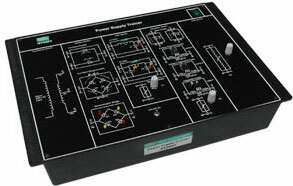 SMPS consists of a rectifier section, filter section, switching section and regulator section. Each section is explained separately and the internal structure of different blocks is also described. 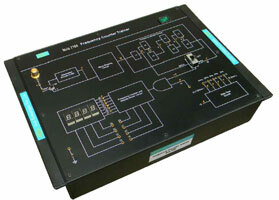 Switching transformer and chopper controller circuit are the main parts of SMPS. 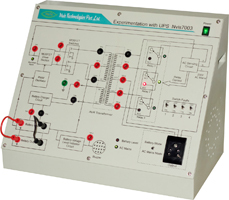 Switching Transformer works at high frequency, so it is also called as HFT i.e, High Frequency Transformer and the chopper controller is simply DC to DC controller. 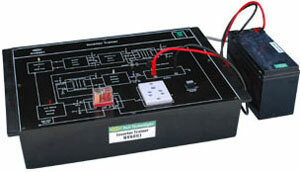 It gives constant output even when the AC mains is varied from 80V to 270V. 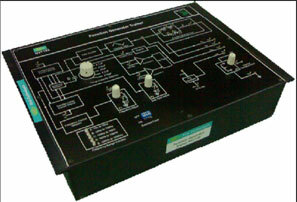 Students can vary Voltage by using Variac. Nvis 7002, Understanding SMPS is an ideal platform to enhance education, vocational training, skills & development amongs our young minds.